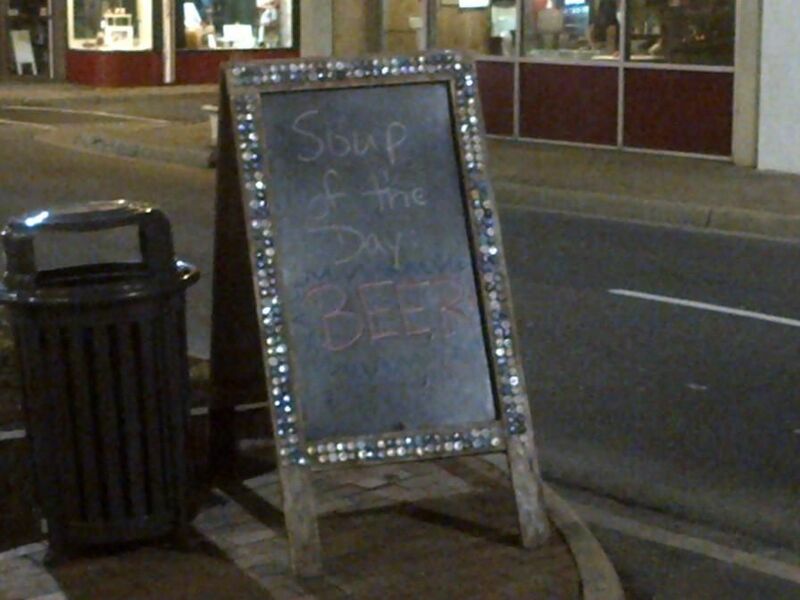 A few weeks ago, I was in Harrisonburg, VA for an evening and looking for something good for dinner. 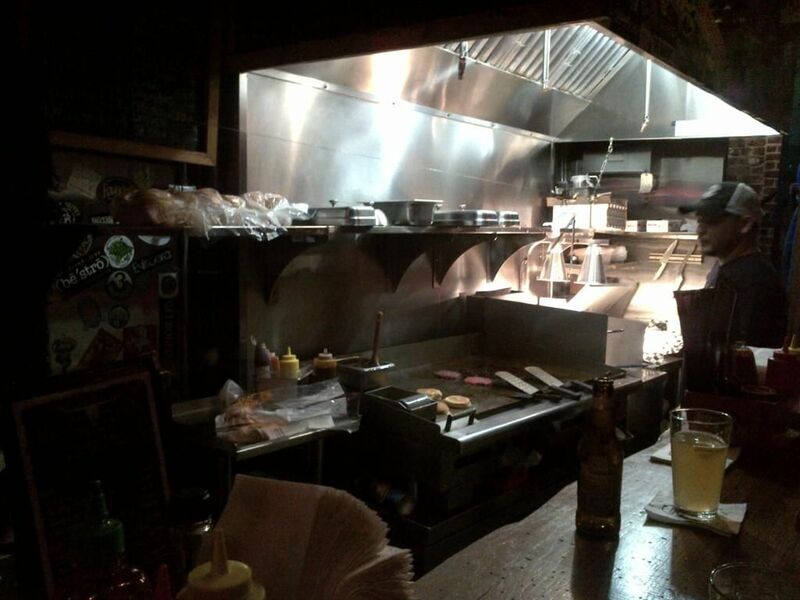 After some research and some Google consultations, I decided to give Jack Brown's Beer and Burger Joint a try. After parking and walking towards the door, I was greeted with this sign out front. Good start if you ask me. 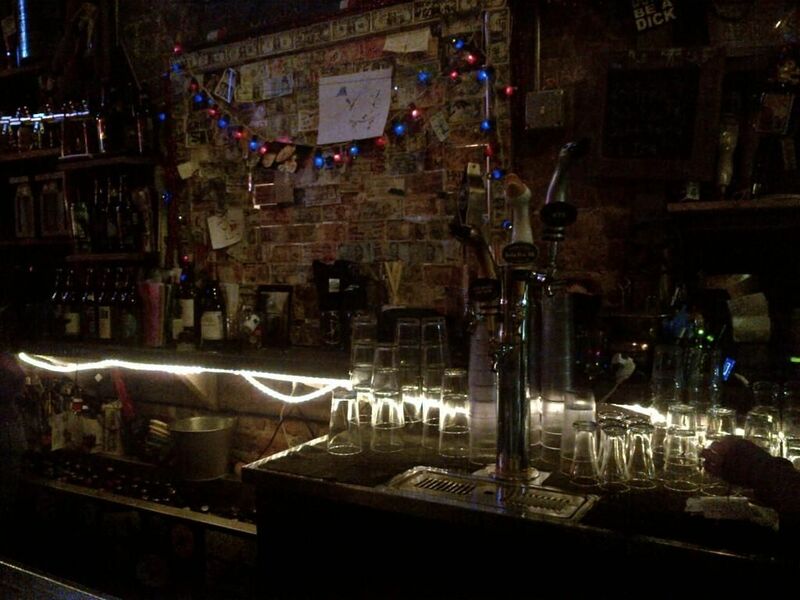 Jacks is one of those classic small college town bars. Longer than it is wide, trimmed in wood, with a few TV's to show the college game of the evening. If you are looking for something other then beer and burgers, this is not the place. If you want a reasonably priced beer and a burger, bingo. The tap and bottle selection is outstanding. The beer offerings run from your standard mass produced "beer" to a nice selection of local and national microbrews. The wait staff was friendly and helpful. They were quick to recommend something from the menu and easy to talk with. The menu is short and sweet. 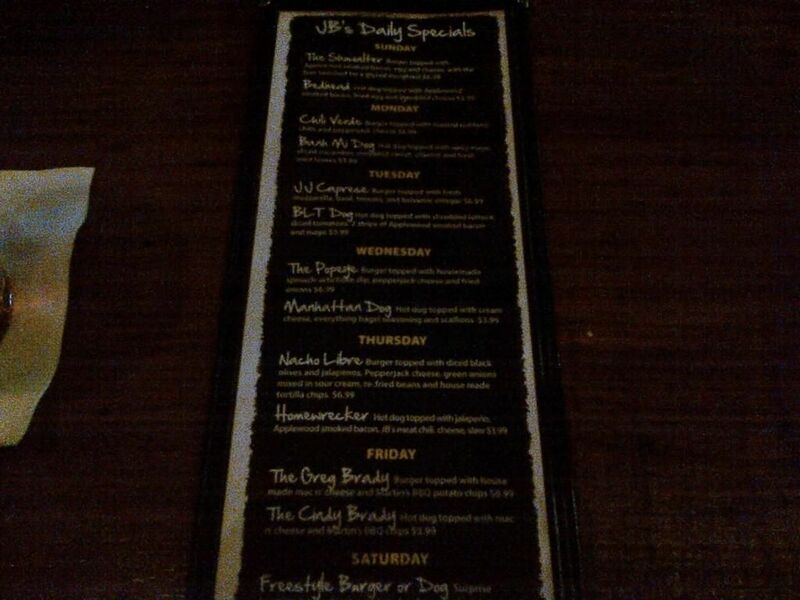 They have a regular menu with standard selections and two specials each day. I had The Cowboy. That was a perfectly grilled burger with a thin layer of BBQ sauce, apple wood smoked bacon, and cheddar cheese. This was placed on a perfectly steamed bun that was lightly toasted on the flattop before serving. Each burger comes with a pickle wedge and either fries or onion rings. Both were of the frozen variety. I would have preferred fresh, but they have mastered frying the frozen product. So, they were not too bad. The burger was heaven. Just enough BBQ sauce, gooey cheddar, and crisp bacon. The bun was perfect as well. For dessert, I was talked into a Deep Fried Oreo. This was an Oreo battered in funnel cake batter and deep fried. The funnel cake was nice and crispy and the Oreo within was perfectly gooey. No milk on the menu though. That would have been the perfect ending. 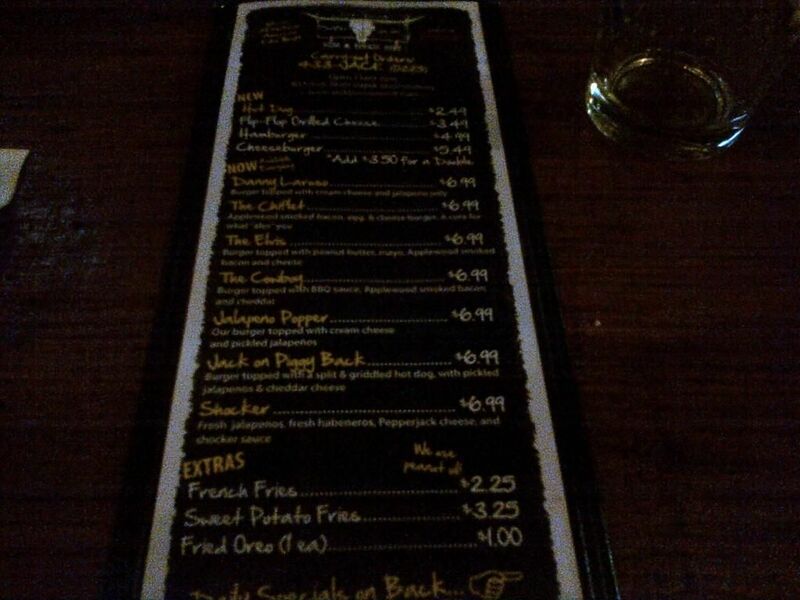 So, the next time you are in Harrisonburg, I highly recommend stopping by Jacks for a burger and a beer. You will not be disappointed. Overall, Jacks gets a A- with points deducted for the use of frozen fries and onion rings.